Dr. Mohd. Abdul Awal is currently working as Founder, and Chief Advisor of Health & Pollution Research Farm, Bangladesh. He served as an Environmental Scientist since 29 December, 1993 to 12 February, 2014 under the Ministry of Environment & Forest, Bangladesh. Dr. Awal has completed his MPhil leading to PhD degree in Environmental Science from University of Bradford, England as a scholar of Government & Asian Development Bank. He authored a number of precious books and articles as first-author in highly respected journals and prestigious books published all around the world. He showed the correlation between heavy metals and top-dying-disease in Sundarbans for the first time in Bangladesh. This result brought to new frontiers in understanding the fundamental mechanisms behind heavy metals pollutions. His un-common researches & groundbreaking discoveries led to numerous implications for removal of pollutions. 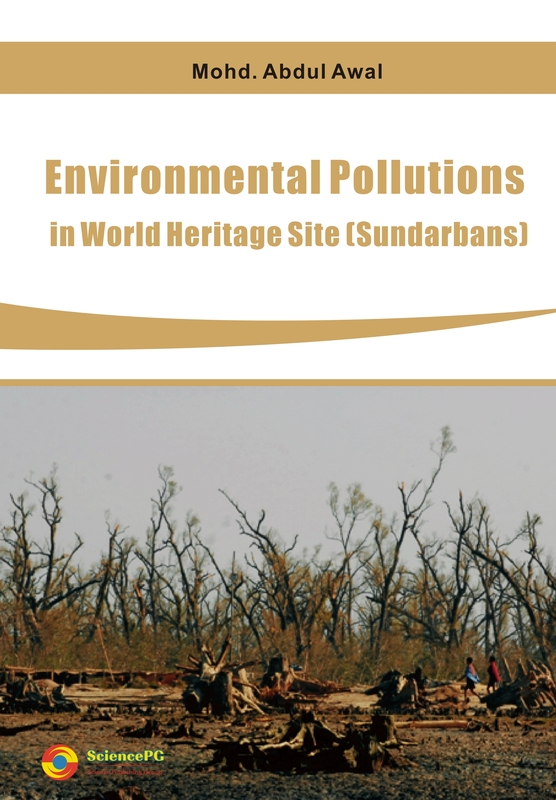 This book has attempted to understand the problems of chemical pollutions in natural resources and significance environmental and ecological adverse impacts on soil and water contaminations of Sundarbans natural forest resources to stress the largest natural mangrove ecosystems and habitats for wildlife mainly for the Royal Bengal Tiger (Panthera tigris) and spotted deers (Axis axis) and other numerous vertebrates and invertebrates within this most important ecosystems in the world. Sundarbans is the largest mangrove forest is the world, and it is also home of Bengal tigers, spotted deers, crocodiles, wild bores, numerous aquatic natural resources, it’s a wonder of the world in respect to natural, green scenic beauty, aquatic resources. But unfortunately Sundarbans has been affected by top-dying disease. 45.2 million trees has already been affected by top-dying disease. To save this valuable ecosystem, I have analyses the possible environmental factors causing top-dying in this book. I personally believe that this book will be suitable resources for the environmentalist, researcher, university students. The phenomenon of chemical pollution in soil and water of mangroves sediment in Bangladesh is not universal. Even though, the problem of top-dying of Sundri (Heritiera fomes) is not found in all the regions of the world. 45.2 million of Sundri (Heritiera fomes) trees of Sundarbans has already been affected by this serious killer disease (locally called top-dying). Sundarbans world heritage site is the largest mangrove forests in the world. The total land on the shore of the Bay of Bengal in the southwest of Bangladesh is known as the Sundarbans (figure: 1), the land lying between the Ganges and the Meghna is named the Sundarbans. Because, this natural forest in Bangladesh is biologically a very rich one, and it is also important to 40 million local people for their livelihoods as well as a barrier between them and the sea such as Sidr, Resmi, and Mahasen etc. However, this resource is threatened by various possible environmental factors, one of which accumulation pollution by heavy & trace metals in the soils & sediments. Despite this, there do not appear to have been any substantive research or scientific studies of what the concentrations of such trace metals in the area. But, this research-plan reports the findings of a study using ICPMS to determine heavy or trace metal concentrations, which believe will be able to act as a base line reference for any further studies for scientists, researchers, university students, professionals, environment loving general people and Government as well as other companies, industries globally. But it is under threats of various kinds, including potential contamination from nearby industries. My PhD research work investigated the extent of heavy metal contamination in the soil from nine sites in the Sundarbans in Bangladesh. A total of 63 soil samples were collected and analyzed for element concentrations of 25 heavy metals using ICP-MS. Most of the results are first reported values for natural mangrove soils in this area. The data suggest some of the elements tested for were present in elevated concentrations, most notably nickel and possibly mercury. It is concluded that the Sundarbans in Bangladesh is becoming contaminated with heavy metals. My PhD’s results will be able to act as a baseline for future comparisons and assessment of changes. It’s obvious to advance my future research to save natural forest resources and health of 40 million surrounding people who have affected by various unknown diseases. So, this book has focused completely on the problems experiencing by chemical pollutions in soil and water analyses and advantages of gold wash solution for effective analyses of soil and water within affected natural resources to remove the problems of diseases of plants, animal, human health in a particular area within the globe. The book will help the reader to get a clear picture about the chemical analyses of soil and water and will get easy way for solving any problems for soil and water chemical analyses in natural resources like Sundarbans top-dying diseases related issues so that understanding of these issues can be clear among the scientists, researchers, perspective university students, companies, people in general and academician in particular to get clear method of analysing the chemical pollution in soil and water at laboratory and class.